Sola Salon Studios has announced the opening of its first location in South America. The new salon is located in Rio de Janeiro and is part of the brand's international expansion efforts. Sola plans an additional 50 salons in Brazil in the next 10 years. More than 50 industry and media members attended the launch, with presentations by Rodrigo Miranda, General Manager of Sola Salon Studios in Brazil; Richard Klevenhusen of the Brazilian Association of Beauty Salons; and top management from the Sola Salon Studio corporate team. The new location is 4,915 square feet and offers 22 studios, a coffee shop, a reception area, and a waiting room for guests. Brazil, one the largest, strongest, and most important beauty markets in the world was the natural choice for Sola's first initiative in South America. "This expansion into Brazil is a significant milestone for us and underscores the success of our business model and concept. We are grateful and excited to be able to bring Sola to Brazil. 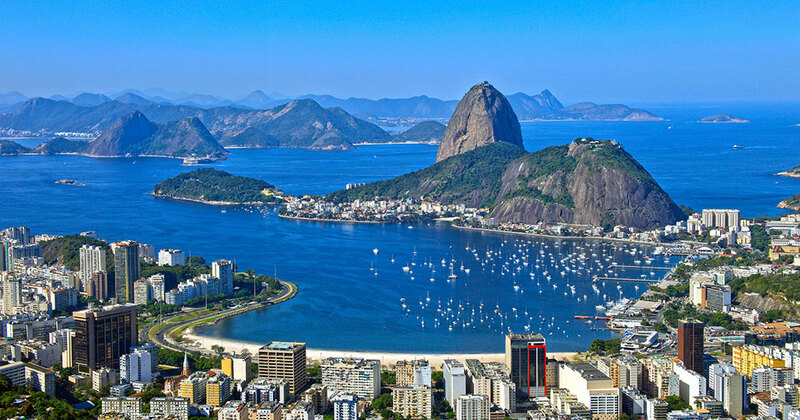 We look forward to continued growth in Brazil and beyond," said Ben Jones, vice president of business development, who leads Sola's international expansion efforts. Rodrigo Miranda, a former L'Oreal executive with extensive experience in the beauty industry, will lead the Sola's expansion plans in Brazil. "We decided to bring this business model to Brazil after observing the difficulty that beauty professionals have relative to setting up and running a successful establishment here," said Miranda. The brand, which employs 12,000 hairdressers, estheticians, nail techs, massage therapists, and related beauty industry professionals, has more than 400 locations in North America.